Everyday, mothers battle against postpartum depression. And like with any war, there will be some casualties along the way. It’s hard to ignore the tragic stories we see in headlines of women who have hurt themselves and/or their children. They are the stories that tend to hit us the hardest. How could a mother – known for characteristics of loving and protecting her children – do such unimaginable things to them? We hug our own children close, unable to even think of doing something like that. She must be a monster, we exclaim! And we’re not wrong, only a monster would do such a thing. Mothers with postpartum depression battle against the monster inside their own minds everyday. But they don’t always win. These 10 women made headlines when they lost the battle to postpartum depression. ***WARNING*** This post contains graphic details about true stories pertaining to suicide and infanticide, which some may find particularly disturbing. If you are experiencing suicidal thoughts, please click here to find a list of support numbers. She is perhaps the most infamous mother who lost the battle to postpartum depression. Andrea Yates’s battle against postpartum depression was a lengthy one with a tragic ending. Not only did she have a history of depression and eating disorders as a teen, but she also attempted suicide a few times in the early stages of her postpartum depression. Unlike many cases of postpartum depression, she received plenty of care, including various different drugs, several hospitalizations and regular appointments with a psychiatrist. Despite all of the interventions, she continued to suffer from postpartum depression, psychosis and schizophrenia, which worsened after the birth of her fifth child. Andrea lost the battle to postpartum depression the day that she drowned all five of her children in the bathtub. It was clear to everyone, including the courts, that she suffered from a mental illness, but maternal mental health was not as widely understood at the time and the law could not protect her. Initially she was sentenced to prison in 2001. But after five years, she was moved to a high security mental hospital, and then a year later, into a low security mental hospital where she now remains. This story strikes home for me… literally. Lisa Gibson was a woman from my own hometown of Winnipeg, Manitoba, Canada. Her story is what inspired me to speak up about my own postpartum depression battle. I remember watching the news on that Wednesday morning when the children were found dead and their mother was missing. I hoped and prayed that she would be found alive as reports came in of a woman in pajamas wandering around near the river. The Saturday morning that her body was found, part of me felt relieved. I was truly hoping that she would be found alive, but I also knew that her nightmare was now over. Lisa Gibson lost the battle to postpartum depression and took her children down with her. But her struggle inspired me, and hopefully many others, to fight even harder to win. Jenny’s Light is a non-profit postpartum depression foundation that was built after the tragic deaths of Jenny and Graham Gibbs Bankston in 2007. Jenny’s closest support system had no idea that she was suffering from any type of mood disorder in the 6 weeks following the birth of her son. It wasn’t until she, very suddenly and without warning, purchased a gun and shot both herself and her newborn son in her own backyard, that they realized something had gone very wrong. Her family now runs the foundation to help provide women with support, resources and information about postpartum depression and other perinatal mood and anxiety disorders, in an effort to help save others from experiencing the same tragedy. It was a short couple of months after the birth of her son when Charlene Ventanilla lost the battle to postpartum depression. She was found by her husband on her two year old’s toddler bed shortly after stabbing her 8 week baby and herself to death in 2016. In Charlene’s case, it’s stated that prescription contraceptive pills played a part in her extreme behavior and mood changes. And since no one knows the exact cause of postpartum depression, it’s entirely possible. Those who knew her said they had no idea how badly she was struggling, which made it much harder to accept the loss. You can help support Charlene’s husband, Ken and their older son, Vincent on GoFundMe. 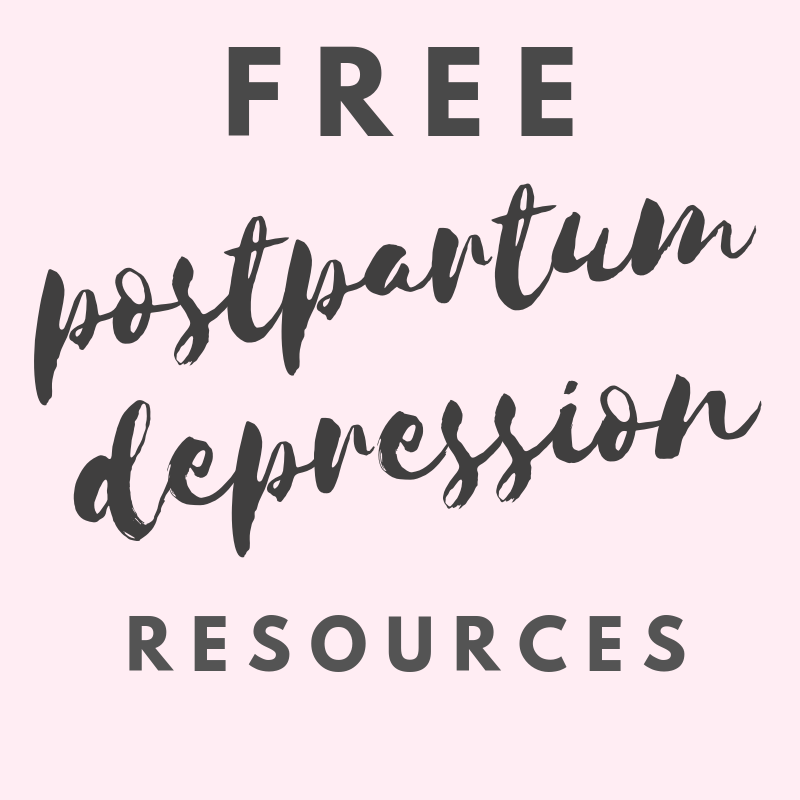 When a tragedy occurs to a mother and baby in the first few weeks or months postpartum, it’s easy to accept postpartum depression as the cause. However, we know that postpartum depression does not just go away, especially when left untreated. In the 2015 case of Erin Sutherland from Scotland, she suffocated her baby when she was 10 months old. She apparently tried to get help when her daughter was 8 months old but was told that support was not available after the first 6 months. Erin also suffered from postpartum depression following the birth of an older child, so the fact that she had a history of it should have been even more cause for concern. Instead, she was sentenced to 3 years in prison following a stay in a mental hospital. The 2015 story of Deasia Watkins is one of the most disturbing ones out there. While suffering from postpartum psychosis, Deasia stabbed and cut off the head of her 3 month old baby girl. Before the tragic event took place, many measures had already been taken to help protect Deasia and the baby. She was prescribed medication and her baby was taken away from her by family services and placed in the care of her aunt. It is said that her behavior was clearly that of a woman suffering from a mental illness. She spoke of demons and was often seen talking to herself. But the psychiatric evaluation she had before her trial found her competent and she was sentenced to 15 years to life in prison. This is another mother who also suffered badly from postpartum psychosis. The 2016 story of Lisette Bamenga gives us a good idea of just how twisted postpartum psychosis can make someone. Lisette did not just try to kill her children, she poisoned them, drowned them and then also left them in a room full of carbon monoxide. After all of this, she tried to commit suicide herself. She was saved but her children were not. It’s a truly heartbreaking story of a mother who was obviously tormented by pain. There was mention of some relationship problems, which likely exacerbated her symptoms. She was given 8 years in prison. Running away from home. It’s a thing I fantasized about on some of my really bad days, so I can empathize with Florence Leung, a mother from New Westminster, B.C. On October 25 2016, she left without a trace and it took nearly 3 weeks before her body was found. As a registered nurse, Florence knew about postpartum depression and anxiety and had sought treatment for it. But none of that seemed to matter in the end, and Florence tragically lost the battle to postpartum depression. The story of Jennifer Mudd Houghtaling is an important one to include in this list because it was not only one woman fighting the battle against postpartum depression, but an entire family. Unlike many women who struggle in silence, Jennifer was open about her postpartum depression. She spoke about her struggles with her siblings and mother, sought help from her doctors and was honest and open about how she was feeling with her therapists. She tried all different kinds of medications and when her condition worsened, her sister and mother came to her aid. Jennifer’s support system tried everything they could to help her. They had her committed to a psychiatric ward, set up appointments with different psychiatrists and helped manage her medications. They made sure to never leave her alone. But despite all of their help, support and interventions, Jennifer managed to jump in front of a train and end her life. Although Jennifer lost the battle to postpartum depression, her family continues to fight. They established the Jennifer Mudd Houghtaling Postpartum Depression Foundation in Chicago where they offer a 24 hour postpartum depression hotline (866-364-MOMS). One of the longest battles against postpartum depression was fought by Naomi Knoles. Her story teaches us never to stop fighting, even when we think the battle is over. Naomi experienced postpartum depression and postpartum psychosis after the birth of her daughter in 2003. She suffered so badly that she attempted to take her own life, but was unsuccessful. Still struggling, Naomi ended her daughter’s life, claiming she was trying to save her from having to grow up and deal with this horrible pain herself. It seemed as though things were looking up for Naomi. And then, 12 years after the birth of her daughter, and two years after her release from prison, she committed suicide. Mental illness is not something that just disappears. It can be managed with treatment, but for many mothers, it’s a battle they will fight their entire lives. If there’s one takeaway from these tragic stories, it’s that maternal mental illness is not something that should ever be taken lightly. Mothers with postpartum depression are often told that what they are feeling is “normal” or their symptoms are brushed off. This enables the dangerous idea that mothers have to be in much worse condition before they will be taken seriously. But yet, postpartum depression affects nearly 600,000 women in the US each year. This is definitely not something that we can continue to ignore.